Four Seasons Yard Care is dedicated to detailed yard care maintenance on the west side of the sac valley and quickly and efficiently repairing your irrigation system problems. Our specialty is communication, with good communication comes good service. If you need irrigation trouble shooting no matter as simple as a solenoid valve rebuild or as serious as a controller line break we can fix those repairs. 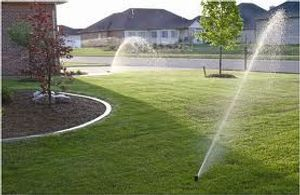 Tired of broken irrigation system, overgrown lawn, expensive water bills, dead and dry spots in your lawn. Call Four Seasons Yard Care and let us make the needed repairs for you.